Twin Creeks is the Home of the NSW Open! Get involved! Volunteer in 2019. The New South Wales Open Golf Championship has a rich history that dates back to 1931, pre-dating the iconic Sydney Harbour Bridge. First held at Manly Golf Club, the tournament was initially played back then as a ‘close’ format championship, meaning it was open only to residents of New South Wales. Tom Howard, Sam Richardson and Charlie Gray finished in a three-way tie in the inaugural event, with Charlie Gray lifting the title after a 36-hole play-off. The Open grabbed the NSW public’s attention during the Great Depression, at a time when many had very little to look forward to other than cheering on our sporting heroes. As the decade wore on, it quickly evolved into the tournament that ‘they all wanted to play.’ soon becoming one of the big three tournaments in our young nation sitting alongside the Australian Open and the Australian PGA Championship. In 1958 the tournament finally became truly a ‘Open’ event, attracting the cream of Australia’s golfing elite along with appearances by some of the best players in the world. The NSW Open Championship boasts an honour role that includes many of Australia’s finest golfers including World Golf Hall of Fame inductees Kel Nagle, Greg Norman, and Peter Thomson. Legends like Norman Von Nida, Eric Cremin and Frank Phillips, and amateurs including five-time champion Jim Ferrier, Owen Beldham, Tony Gresham, Ben Eccles and 2016 Champion Adam Blyth. Other names to lift the trophy include: Ian Baker-Finch, Ted Ball, Billy Dunk, Peter Lonard, Jack Newton, Peter O’Malley, Craig Parry, Bob Shearer, Ian Stanley, Aaron Townsend, and Ben Eccles, the defending champion. 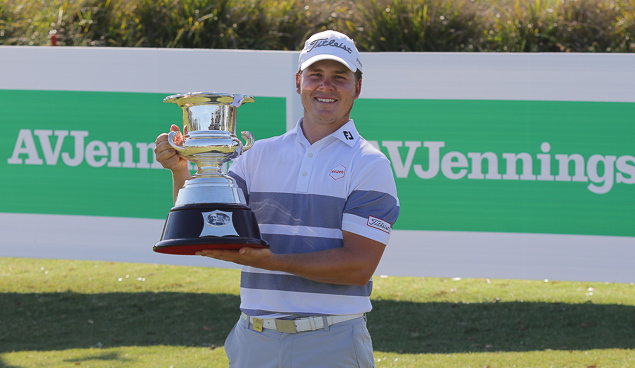 The Kel Nagle Cup is named in honour of one of Australia’s greatest golfers and is presented to the winner of the NSW Open Golf Championship. 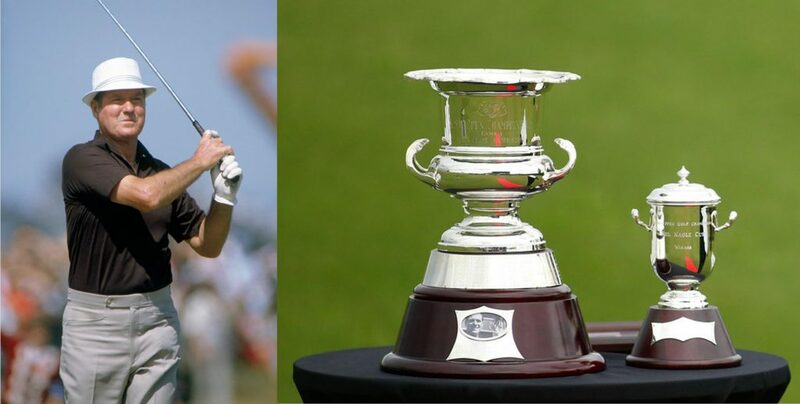 In 2015, Golf NSW recognised Nagle’s significant contribution to the game by naming the NSW Open Championship trophy the ‘Kel Nagle Cup’ in honour of the great Australian golfing icon. Nagle, one of Australian golf’s finest ambassadors is best remembered for his triumph in the 1960 British Open Championship at St Andrews Links (the home of golf) – where he defeated the great American, Arnold Palmer. Known throughout his career as The Pymble Crusher, Nagle recorded 81 wins globally including 61 on the PGA Tour of Australasia, a record that stands to this day and that could have been higher, except for the interruption of World War II. Nagle was inducted into the Sports Australia Hall of Fame in 1986 and awarded the Australian Sports Medal in 2001. After some intense lobbying, Kel was finally elected into the World Golf Hall of Fame in 2007. Kel lived in Sydney all of his life and was a proud New South Welshman to his core. He was regarded as a humble man who was always ready to help his friends. Sadly, Nagle passed away in January 2015 at the age of 94.